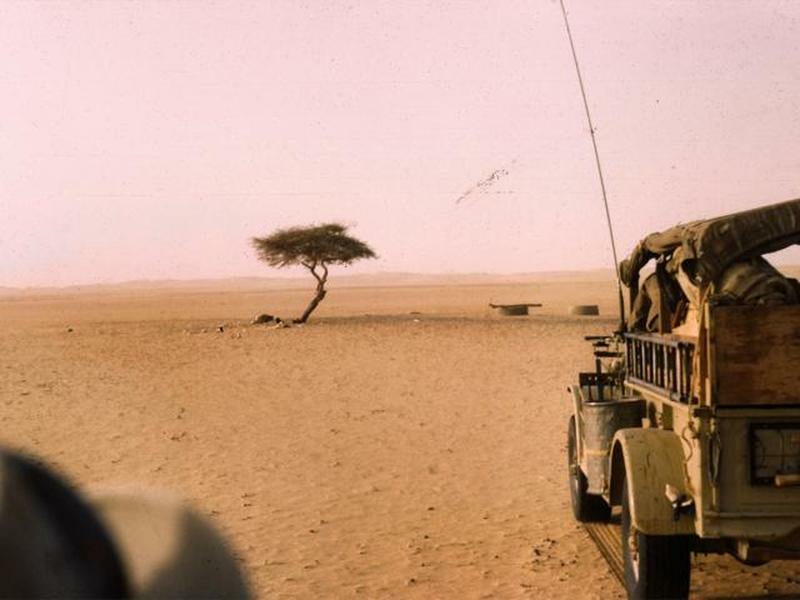 It’s difficult to be certain which individual tree is the most remote, but for several decades that distinction belonged to the Tree of Ténéré, a lone acacia tree standing in the vast, hostile expanse of the Sahara Desert. However, in 1973 this tree met an exceedingly improbable end. The tree wasn't always alone, millennia ago the tree was part of a sizable forest. Due to climate changes over the years, the trees perished and what was once a foresty area was reduced to a vast desert land. The Ténéré region became one of the most inhospitable areas, with little vegetation and an average annual rainfall of only 2.5 cm. Water ended up being scarce even underground. By sometime around the early 20th century, a small group of the acacias were all that remained of the trees of the Ténéré. Over time, all but one died, leaving it as the only surviving tree in a 400-kilometer radius. As a result, the three-meter-tall tree, visible from a considerable distance, became a landmark for desert travelers. Its ability to survive on an unforgiving patch of sand was a mystery at first, but during the winter of 1938-1939 when the French military coordinated the digging of a nearby well to increase the utility of the site, they discovered that the tree’s root system was drawing water from a source 35 meters underground. During or after the construction of the well, a truck at the site backed into the tree and broke off one of its main branches. The tree managed to survive the impact, though its previously distinct ‘Y’ shape was lost. In the decades that followed, caravans trading and shipping across the Sahara often stopped to take water from this well. The tree was so essential to locals’ navigation of the large, barren desert that damaging it was inconceivable. The tree has become a living lighthouse. It appeared on large-scale maps of the desert as one of the sole reference points. In 1973, a passing truck, being driven by a Libyan (allegedly drunk) lost control of the vehicle. Despite the flat, wide-open expanse, the truck veered off the road and slammed into the only tree in the entire region. This second impact with an automobile was more than the solitary Tree of Ténéré could bear, and it snapped from its trunk. It was estimated to have been 300 years old. In November of that year the remains of the legendary tree were retrieved and transported by another truck to the Niger National Museum in the capital of Niamey, where it still resides today. 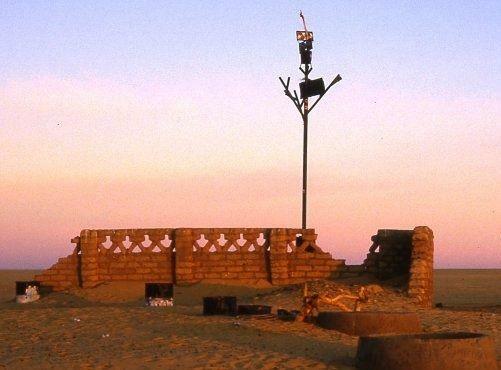 At the Tree of Ténéré’s original location, an anonymous artist constructed a metal monument made up of recycled pipes, fuel barrels and discarded auto parts. 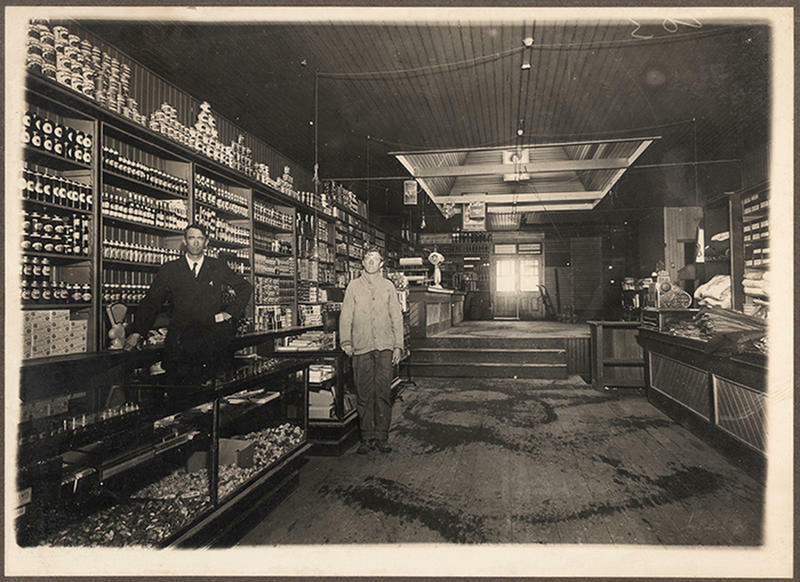 Thus the location still stands as a landmark – at least until the next drunken truck driver comes by.